If you ask any person especially women what matters most to them when it comes to their appearance, the answer would probably be the same. For most people, their face is the main point of attention. The fixation on the face is supported by the belief that first appearances are important. This being said, many believe that the face forms the first appearance. It is what people would see before they can notice anything else. It is therefore no rocket science as to why many people would spend so much time and money on facial products and procedures all intended to ‘perfect’ their appearance. The eyes are the window to the heart, or so it is said. They enhance the beauty of an individual. Popping eyelashes are the most conspicuous features on the face intended to enhance facial beauty. 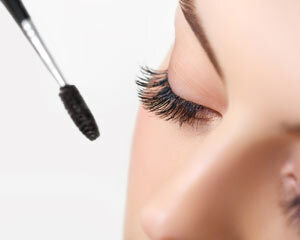 Most women in a bid to make their lashes fuller and longer tend to lean towards the use of fake eyelashes. This trend has been in existence for quite some time, being embraced by many women. Fake lashes gained their popularity when celebrities and other social lights were spotted using them to enhance their beauty. Well, the frenzy around fake eyelashes is not solely based on their use by celebrities. The popularity is based on the way they make the lashes appear. So, what effect do the fake lashes have? Why are they the go to accessory for many women? The answer lies in the functions they offer. First and foremost, fake lashes are an instant solution to luscious lashes. Individuals with thin short natural eyelashes receive immediate long, thicker lashes. False eyelashes add volume to natural eyelashes. They give natural lashes a fuller appearance. Fake lashes come in different lengths. They can therefore give the appearance of longer lashes. When it comes to wearing fake lashes, a lot of care is required. This is because the tools used in this process pose a real threat to the eye if caution is not observed. The glue or adhesive used to spill into the eye causing an infection or damage the eye. In addition to this, the tweezers used could be carrying bacteria that may come in contact with the eye during the attachment process. A slip of the tweezers could result in an eye injury due to the sharpness of the object. Fake eyelashes are known to harbour dirt, dust as well as bacteria. If left worn for too long especially under unhygienic conditions, false eyelashes could cause serious eye infections. This could also result into eye related problems including blurred vision or worse yet, blindness. There are numerous reports of people experiencing allergic reactions when using fake lashes. This mainly occurs due to the type of glue or adhesive used to attach the fake lashes to the lower part of the top eyelid, just next to the root of the lashes. Glue that consists of formaldehyde as part of its ingredients is known to cause allergic reactions. This is mainly characterised by either a stinging or a burning sensation if not both. This later develops into a rash or the eyelid swells. Allergic reactions can also be experienced by individuals who wear ‘pimped up’ lashes. These are fake eyelashes that have added features such as glitters. These glitters could cause an allergic reaction if they come in contact with the inner. Moreover, the glitters could also cause damage to the inner eye. We are aware that fake lashes are fixed at the root of the natural lashes, just at the tip of the top eyelid. The adhesive used to attach the fake eyelashes is normally dry. 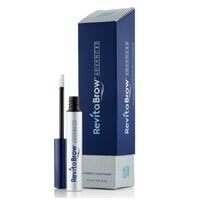 This tends to dry out the lashes making them brittle and susceptible to breakage. Moreover, fake eyelashes are relatively heavy and may exert unnecessary pressure on the natural lashes. This weakens the natural lashes causing them to fall off. The effect of the eyelash loss can be either temporary or permanent. In any case, the effect of eyelash loss can be devastating. Eyelashes are responsible for the protection of the inner eye. Their loss makes the eye vulnerable to infections leading to eye problems. In most cases, eye sensitivity is as a result of the adhesive or glue used in the attachment of the fake eyelashes. The sensitivity can also spread to the eyelids. Symptoms of skin sensitivity may include itchiness of the eyelids and rashes while those of the eyes may include redness, irritation and in rare cases, blurred vision. There is still hope for those who want luscious lashes without having to put themselves at risk. With a little bit of patience, and the use of quality eyelash growth products, one can attain longer, thicker and healthier natural lashes. Finding the perfect eyelash growth products for you will go a long way in reducing any health risks especially allergies. 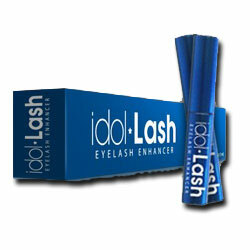 However, if you desire instant fuller eyelashes, you can always go for a quality eyelash enhancer. Eyelash enhancers will give the appearance of longer, thicker and curled lashes instantly. Good quality make-up such as quality mascara and eye shadow, when applied correctly can be used as eyelash enhancers to make your lashes pop.